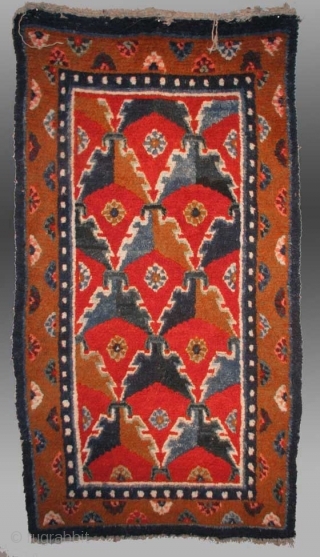 "Khaden", Tibet, 19th Century, approx. 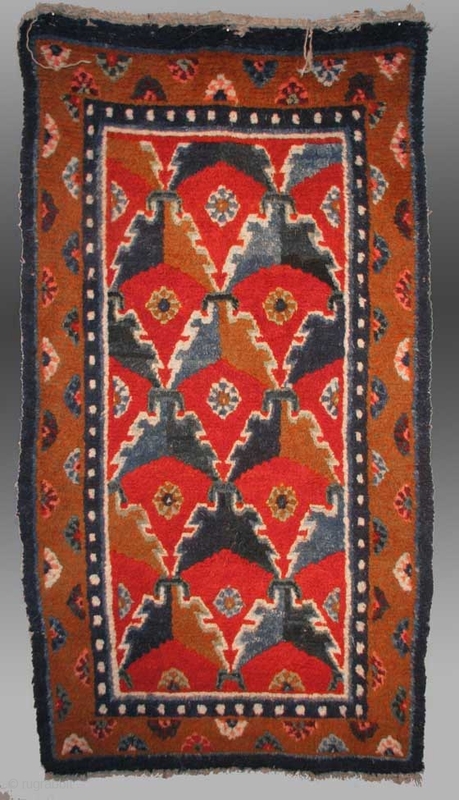 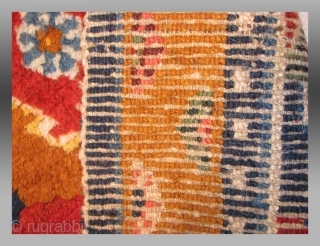 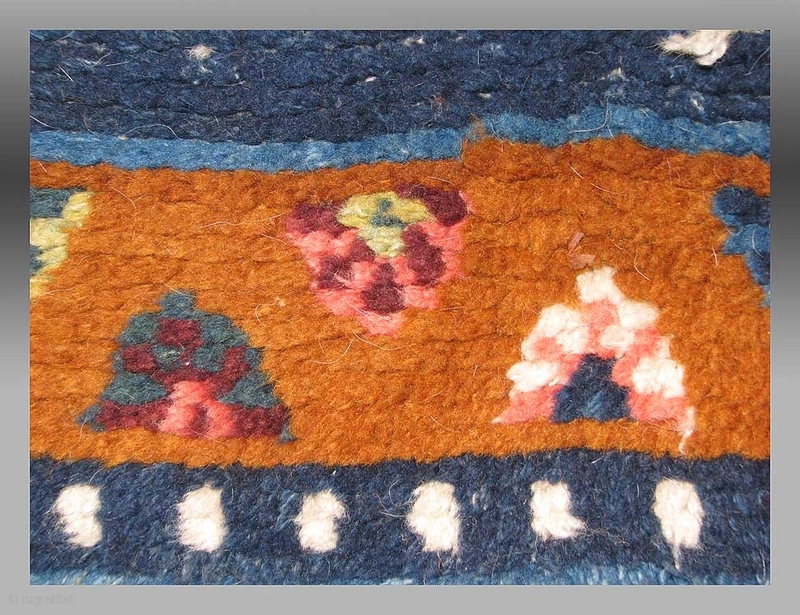 2'10" x 4'8"
While Tibetan rugs are, for the most part, 'colorful', few include the saturation and quality of dyeing seen in this particular example. The design type is also a bit unusual but it the scale in which the design is drawn that is very different from other similar examples. 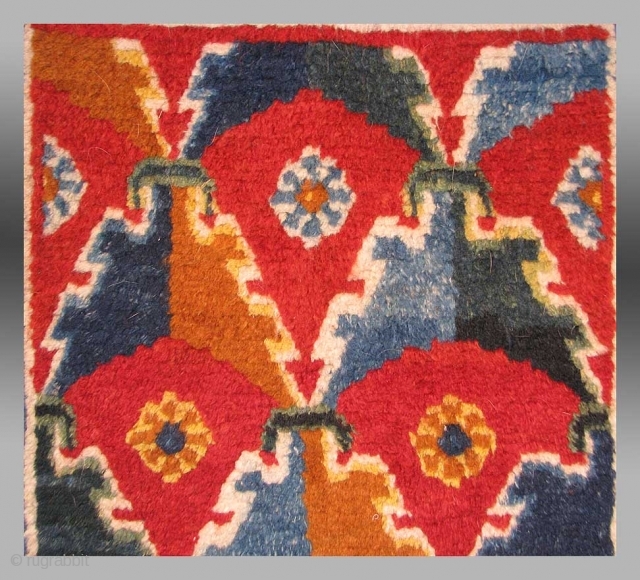 While not the oldest Tibetan rug extant, it probably dates to circa 1880 or so, a supposition based upon the scale of the drawing as well as the sparse treatment of the border design. 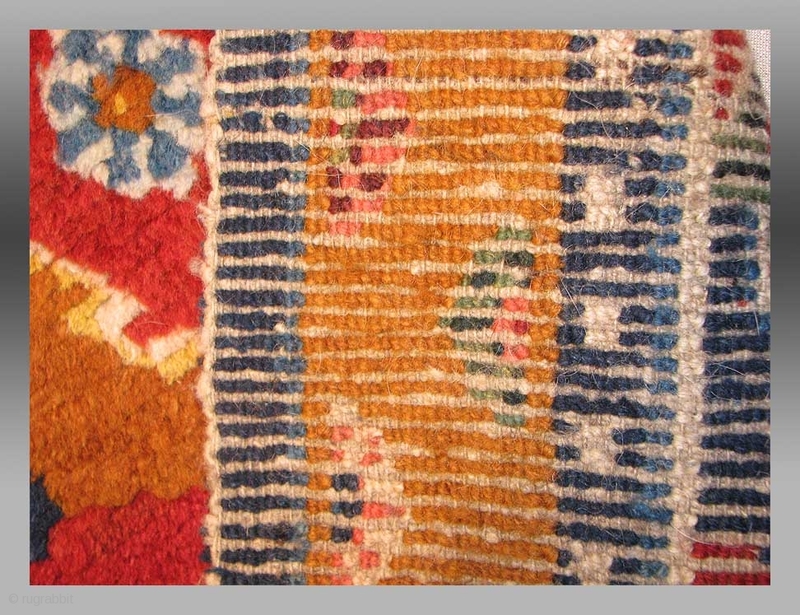 The condition is good, all the dyes are derived from natural dyestuffs.